First of all I would like to thank each and every one of you for making 2017 such a wonderful and successful year for me. So many of you have read and given me some fantastic reviews, and sent emails to me, on my two current series, Dragon Hearts and Regency Sinners. Now, the wonderful thing about romantic suspense novels is that they can be set in any era and any genre of fiction. The two series I mentioned above, a paranormal and Regency series, are also both romantic suspense series. I just love introducing the romantic suspense element to my stories! So feel free to jump in and read whichever genres appeals to you. This month saw publication day of BRYN (Dragon Hearts 3). Bryn is a favourite character of mine, and those of you following the series will have already met him in DERYK (Dragon Hearts 2). Bryn is a dragon shifter and sixteen hundred years old, and when he’s asked to be bodyguard to a very modern 21st Century woman he quickly discovers she’s also his fated mate. But Tegan has a stalker, and Bryn isn’t about to let any other man near his mate. 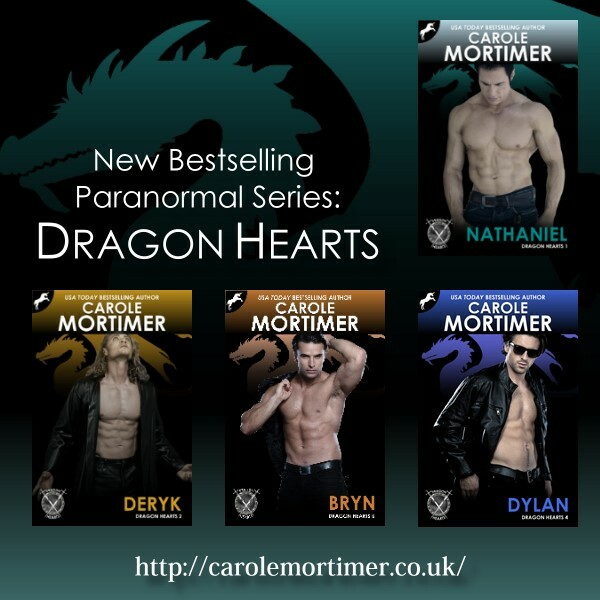 DYLAN (Dragon Hearts 4), is also now available for pre-order on all ebook retailers, and will be published on March 16th. The Regency Sinners series has an overarching romantic suspense story running through all of the books. Each story, and couple, have their own HEA, and plenty of romantic suspense in each story, but that overarching storyline isn’t answered until book seven of the series. Wicked Captive (Regency Sinners 5), the 5th book in this Amazon #1 Bestselling series, is now available for pre-order. The stories in my Dragon Hearts, Regency Sinners, Knight Security, Regency Unlaced, and ALPHA series, are more explicit in their language and sexual content than my other books. In other words, they’re hot, so you have been warned! I wish all of you a Peaceful and Successful New Year. Buy link for Dragon Hearts Series – download one or all of them! Buy link for Regency Sinners Series – again, download one or all of them!